For Rose City Comic Con 2018, I invited my granddaughters Gabby and Madison to discuss each day with me. 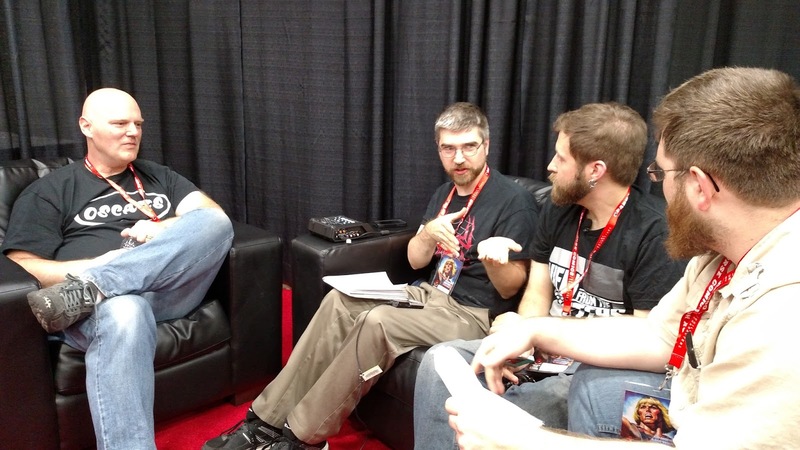 Also, Damian and Matt join me for a lively discussion about the con and other things. And I wrap up the episode with my thoughts about the con. Please enjoy! Damian (sleepyreader666 on YouTube) joins me to discuss the great time we had at Rose City Comic Con 2017 in lovely Portland, OR. We talk about the changes that were made to this year’s con, the panels we attended, our con purchases, and end the show with a bit of conversation about the late, great Len Wein. After you listen to the show, please watch Damian’s RCCC related videos (and subscribe to his channel!) and my RCCC goodies video. After hours RCCC Chat #2 with me! We talk about the 2016 Rose City Comic Con. At Rose City Comiccon, we were able to interview Erik Larsen about the founding of Image comics, his creator-owned comic Savage Dragon, and his creative process. Our good friend Tobiah from View From the Gutters joined us for the interview and we thank him sitting in with Dylan and John. Please reach out to us on any of the below platforms. We would love to hear from you. I talk about the 2014 Rose City Comicon located in Portland, Oregon.